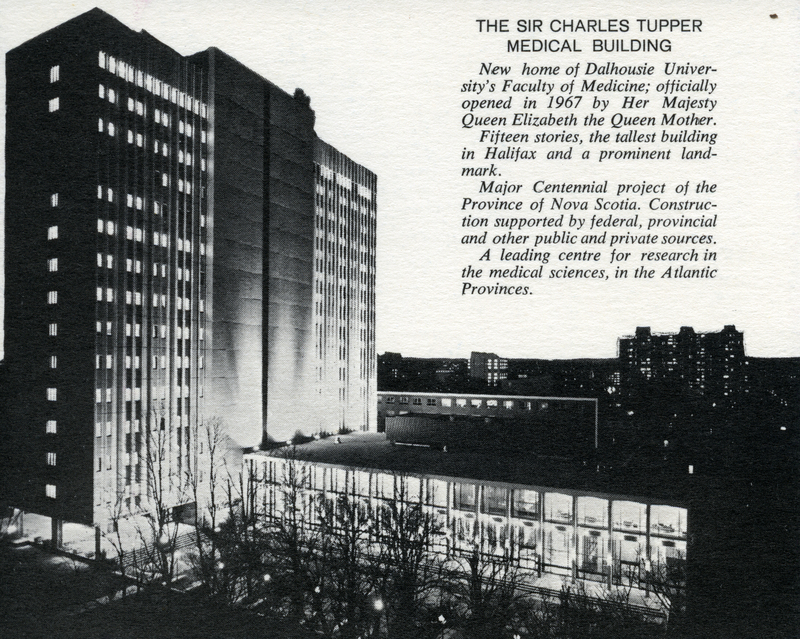 Item is a promotional card about the Sir Charles Tupper Medical Building at Dalhousie University. When the building open in 1967, it was the tallest building in Halifax, Nova Scotia. Description created on November 16, 2015.